Eastern Province won the coveted President’s Cup for only the second time in the 49-year history of the South African Surfing Championships in Mossel Bay on Saturday. They did so thanks to a well-structured performance in good six-foot surf at the Outer Pool. The province registered its only other victory at the South African Championships in 2008 at Victoria Bay, some 50km from Mossel Bay. Border were the runners-up on Saturday and Western Province came third. Last year’s champions, Southern KwaZulu-Natal, had to settle for fourth place. They finished ahead of the powerful KZN Central team, with hosts Southern Cape sixth followed by Boland and Zululand. 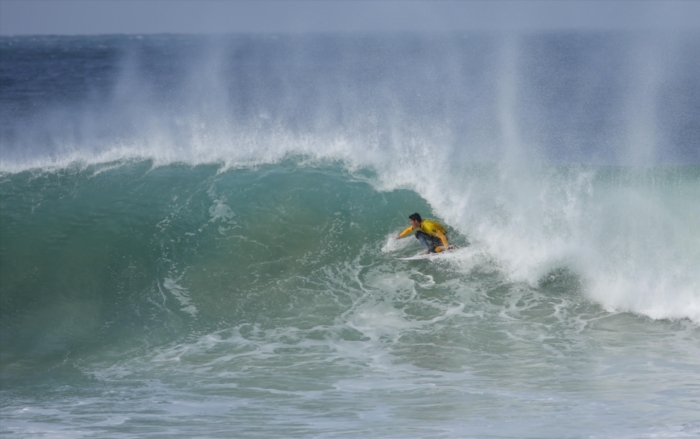 Two Jeffreys Bay-based surfers also flew Eastern Province’s flag in winning individual South African championships. Last year’s Under-20 girls’ champion Emma Smith defended her U20 title on a tie-break against Nina Woerman of Western Province, while Dylan Lightfoot edged out teammate Steven Sawyer to win the U20 boys’ gold medal. Joining Lightfoot and Smith as South African champions were current world and South African Masters champion Greg Emslie of Border and defending South African women’s champion and Border teammate Nikita Robb, who won her fourth national title in a row.